Legend of the disco. Dance-pop vocal collective originally founded in Germany by writer and producer Frank Farian, who molded the four piece band in the dance pop fashion, featuring the stunning vocals of Liz Mitchell-the original and only lead singer of Boney M. Four rhythmic Caribbean characters, with their extravagant costumes and hairstyles, each with their own distinct personality even though they frolicked and moved as one cohesive group, while singing the most successful 70's / 80's disco hits all over the world, which quickly became one of the biggest-selling artists of all time.We are now in the 21st Century and there is obviously no doubt that songs from the past are far more popular than ever before. 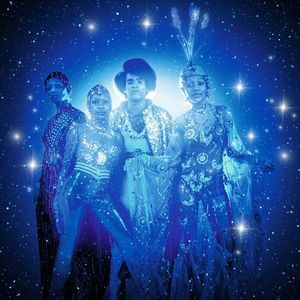 Boney M.featuring Liz Mitchell is still a phenomenal live act drawing huge crowds across worldwide. The live show is as spectacular as ever and they are currently making live appearances in concert halls, galas, open-airs and festivals across the world.